There are so many things about the Zumba® community that are incredible. For starters, when you take a Zumba® class, you drip sweat while working on your fitness goals. The icing on the cake is the social aspect of classes. It truly is happy hour! It is a time to connect with friends, talk, and of course dance together. The positive emotional aspects of Zumba® classes are undeniable. It literally feels like you are on a Zumba® high following class. The power of Zumba® is amazing, and Shirley Sanchez former Zumba® instructor can attest to just that. Shirley has leveraged the power of the Zumba® community to help her 11-year old daughter Mia's fight against Type 1 Diabetes. Recently Mia was diagnosed with Type 1 diabetes. Unwilling to accept standard medical protocol as the solution, Shirley found hope at Sanoviv Medical Institute in Mexico. Mia's journey requires twelve individual trips to Mexico for stem cell treatments to aid in the regeneration of her cells. These treatments are two day trips, literally down to Mexico for treatment and back the next day. Each trip averages over $3,000. 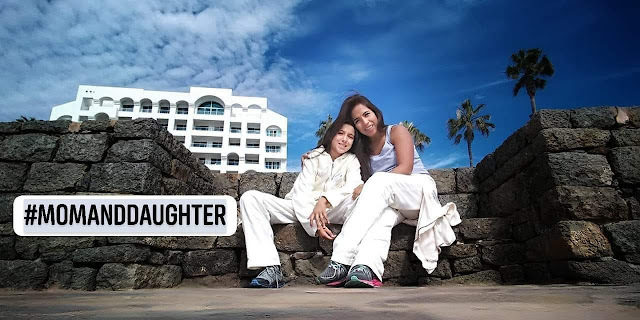 As a single mom who juggles multiple jobs including her own business, she knew she had to do whatever it took to treat her daughter Mia, a.k.a Mia the Warrior. Shirley reached out to several instructors in the Zumba® community who have organized, promoted and danced their hearts out at events. These events are solely focused on spreading awareness for Type 1 Diabetes, raising money for Mia's journey and coming together to spread love and hope. Shirley has found comfort in the Zumba® community, many of whom has donated their time and money to support Shirley and Mia. Shirley is so grateful. As we talked I could hear the positive vibes in her voice as she told me that sometimes she doesn't even know the people that are coming together to coordinate events in honor of Mia. Shirley spoke about lessons of humility and forgiveness as part of this process. "When I do an event and people let it flow, I have a feeling of healing all together. Not only the people who give, but those who received the experience; those moments are much more than a Zumba® class". Shirley is convinced that Mia's journey is healing other people while she is going through her own medical regimen. She notes that Mia is nothing short of STRONG. BRAVE. & CALM. Early on Shirley created a Go Fund Me account that raised over $6,000 in less than two days. Through a combination of fundraisers, raffles and Zumba® events, she has continued to work towards her goal and has raised $14,000 to date. That seems like a lot of money (and it is), but with five more trips to go, there are huge expenses in Shirley's future. During our talk while we were discussing donations, I could hear the gratitude in her voice. "No amount is too small. $5 dollars adds up to a meaningful amount". If you feel moved, please consider donating to Mia's journey. More information can be found on the Go Fund Me page: gofundme.com/MiaWarrior. If you want to read more about Mia's journey, search: @Miathewarrior on Facebook. Zumba® has been a HUGE part of Mia's healing. Healing is happening through the integrative stem cell treatments, dietary changes, lifestyle changes, and brought together full circle through the Zumba® community, through dance, and through positive vibes. Fitness Class Professionals: To Sub or Not to Sub? To Sub or Not to Sub “Uh oh!” “There it is...” “What do I do...?” “Let me see if someone responds first...” We’ve ALL been there. We’ve ALL received it. And, at some time or another, have sent one. What am I talking about? THE SUBSTITUTE REQUEST. No one wants to sub out their class and many of us do not want to sub all the time. So, when the email/request hits YOUR inbox, what should you do? There are lots of options here, but I’ll cover a few reasons why subbing is a GOOD thing. NEW INSTRUCTORS: For new instructors (whether you are a newly certified instructor or new to a gym/studio), you can use this as an opportunity to introduce yourself to members and other instructors. Since members are not familiar with you or your teaching style, it’s an excellent chance to try out new choreography or a new music style; after all, they won’t have any basis for comparison. So, why not take a chance?!?! REGULAR INSTRUCTORS: For those instructors who teach regular classes at a gym/studio, what’s the benefit of subbing for you? LOTS! Subbing shows you are team-oriented and, remember, we cannot have “group fitness” without a “group”, right? Additionally, a willingness to cover other classes can go a long way in the eyes of not only your colleagues, but your students as well. When you sub a class (and know in advance), be sure to announce it during your regular classes—participants who may not typically attend that instructors class are more likely to show up (sometimes they may not be aware there is a class at that time because they might only attend YOUR class). Lastly, this is a good marketing opportunity for you as a regular instructor. Perhaps you want to build your class size? You can use this time to let the class know what times/days/formats you teach and invite them to your class. Oftentimes, all it takes is an invite and the likelihood of them attending your class increases by leaps and bounds. GIVE A SHOUT-OUT to the regular instructor whose class you are substituting. Members want to know their regular instructor isn’t being replaced by you (we all know how much our students love us and the classes we teach). It doesn’t hurt to say, “John will return as scheduled next week” or “Maria will be back after her honeymoon”. Some other thoughts about subbing, be careful not to request subs too much. (What’s too much? That depends and is a story for another day.) We do not want to request substitute teachers every other week as it can severely cause a drop in our class numbers. Also, we do not want to take advantage of other instructors availability; just because they aren't teaching, doesn’t mean they are available on a whim. So, to answer the question, to sub or not to sub? Well, the answer is ultimately your own. Based on your availability, you may or not be able to be there; keep in mind, it’s an opportunity for you to connect with more people and for them to connect with you. Accepting a sub request: helps out an instructor in need, keeps the schedule running, pays it forward (so, you’ll have subs when you need one), and, most of all, KEEPS OUR STUDENTS HAPPY! Always bring 100% of yourself to each and every class. Be nice to all participants, veteran participants & new peeps. Colleagues are just as important. We are part of a loving community. Walk the walk. Dance often. Day in and day out. Experience new opportunities outside of your comfort zone. Go the extra mile. Say hello to everyone in your class and spread happiness. Have fun! That is what it is all about. Include everyone for class celebrations and social outings. Just be yourself. Everyone else is already taken. Lend a helping hand to someone in need. Make someone smile. Be that reason. Never talk about anyone, especially in class, it is not classy. Open your heart to new learning opportunities. Quiz yourself on your choreography. Learn it inside and out. Really take the time to learn about your participants. Thank people for coming to your class. Use ZIN™ resources to enhance your toolbox. Value what you have. Never take anything for granted. X-tend the ZIN™ love to a new instructor. You own your destiny. Make it happen!